"We want to make sure that iodine is not leaching out in the long term so we can put the concrete underground without any risk to the public," said Li who conducts a diverse range of research focused on mines and site remediation. "The CLS allowed us to precisely determine what kind of iodine is most stable and what form may leach out of the concrete," said Li. This will help improve iodine management and disposal at sites worldwide. 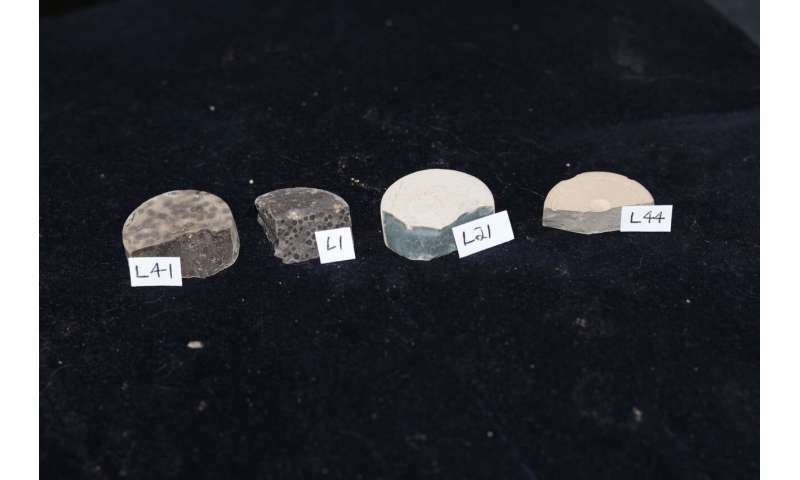 Their study, published in Environment International, showed the cements with slag "have problems with long-term containment of iodine," while they work very well at containing other radioactive elements. "Managing nuclear waste is very complicated," says Li. "Moving forward, there is a lot more research to do," he said. "The amount of iodine waste is going to keep increasing so we need to be looking at new technologies or products to see if they work well with other contaminants as well as iodine."